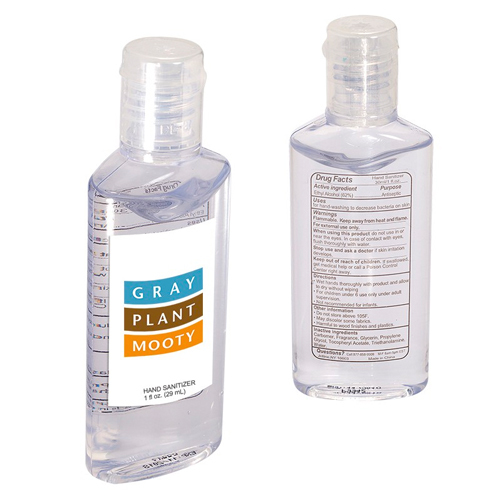 Hand Sanitizer in Oval Bottle - 1 oz. Available with white labels only. Bulk / 25 lbs / 200 pcs. / 18x11x9box.